Under a law signed by President Trump this summer, defense funding can’t support Chinese-language programs at colleges that host Confucius Institutes unless they are completely separate from the Chinese government-operated organizations. Another part of the law requires colleges to make public all agreements with the Confucius Institutes and any organization affiliated with the Chinese government. 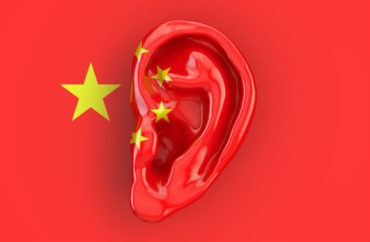 The institutes have been accused of subverting academic freedom and spreading Chinese propaganda by academic groups on both the left and the right. But the new law is not the only reason why the University of South Florida “quietly” shuttered its own Confucius Institute on New Year’s Eve, the Tampa Bay Times reports. The first Confucius Institute in Florida when it opened in 2008, USF’s institute suffered from falling enrollment in Chinese studies, losing about two-thirds of its students in the past four years, a spokesperson said. According to the Times, “university officials did concede” that the new defense authorization law also played a role because it threatened USF’s funding if it decided to keep the institute. James Giordano, a Georgetown University professor whose research team has studied “Chinese interests in U.S. academia,” said USF deals extensively with the U.S. military, particularly Tampa’s Special Operations Command. The Florida institutes’ days were numbered before the approval of new restrictions in federal law. In February, Florida Sen. Marco Rubio wrote to the five Florida schools with Confucius Institutes, including a high school, warning that China uses the institutes to “infiltrate” American classrooms and stifle free inquiry. One of them, the University of West Florida, announced the very next day that it was shuttering its institute. But officials told the Pensacola News Journal at the time that low “student interest” was also the reason, and that the decision not to renew the four-year-old agreement had been made the previous fall. The University of North Florida, which dismissed Rubio’s concerns at the time, changed its tune after President Trump signed the defense authorization into law. It announced that it would not renew its Confucius Institute contract the day after Trump’s signature, the UNF Spinnaker reported at the time. According to a running list maintained by the National Association of Scholars, last updated in November, 10 Confucius Institutes hosted at American colleges and universities have been shuttered. The University of Chicago led the pack with its 2014 decision.